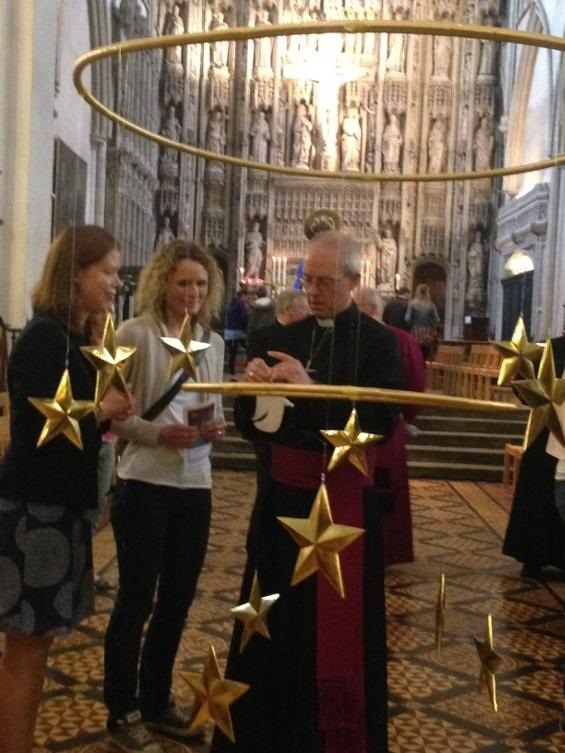 By becoming an Alban’s Angel you will provide valuable support to St Alban’s Cathedral as it takes forward a once-in-a-generation project to add a large community space and renovate the cathedral. Alban was Britain’s First Saint, this project aims to tell the ‘Whole Story’. 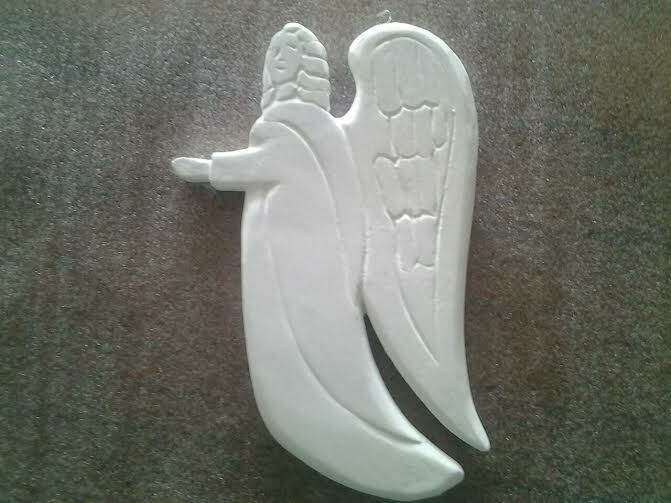 All Alban’s Angels receive an special angel designed by Emily Readett-Bayley based on the logo and stone angels found around the cathedral. 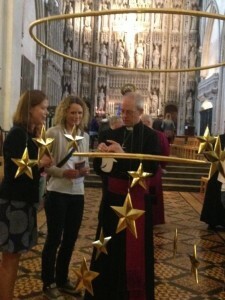 The Archbishop of Canterbury signed his own special Alban’s Angel and launched the campaign on June 19th 2015. Each wooden angel is hand carved by a traditional Balinese woodcarver who works as part of a unique rice farming community in Bali with whom Emily has worked for over 20 years. Fast growing, sustainable albizia trees are grown around the rice terraces and the wood carving business provides a valuable secondary income alongside the traditional ‘Subak”system of irrigated rice farming agriculture. The hand carved wooden angels are carefully covered in antique white plaster which is a perfect surface on which to write your own personal message.